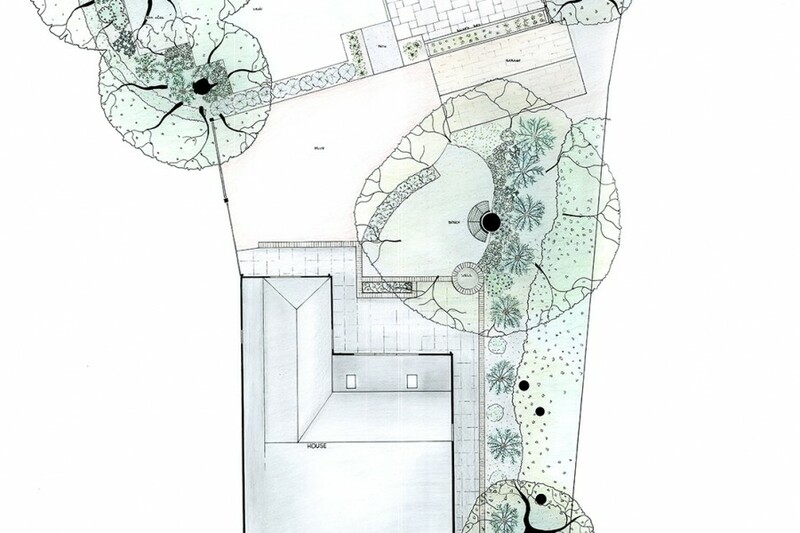 Woodland garden with contemporary touches. 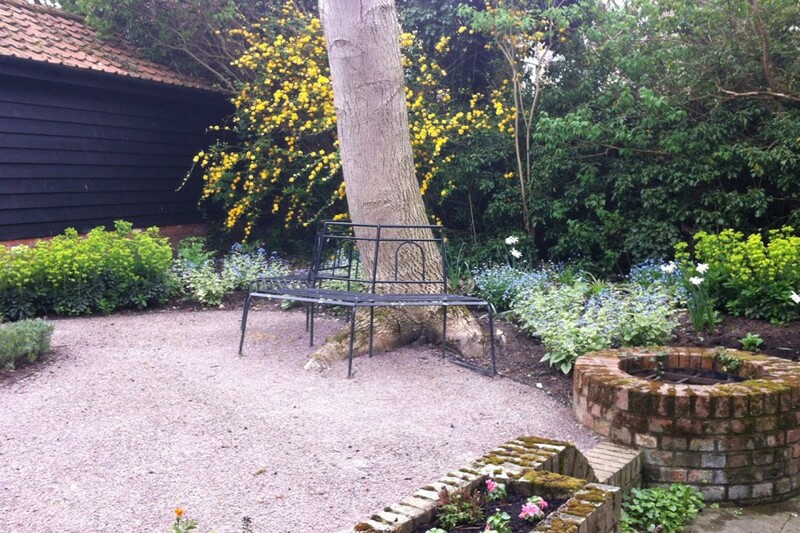 A wrought iron bench was added around the trunk of an existing Walnut tree to provide seating. The surfacing is Cedec. Tall grasses, Calamagrostis ‘Karl Foerster’, were added to screen the patio to the right. 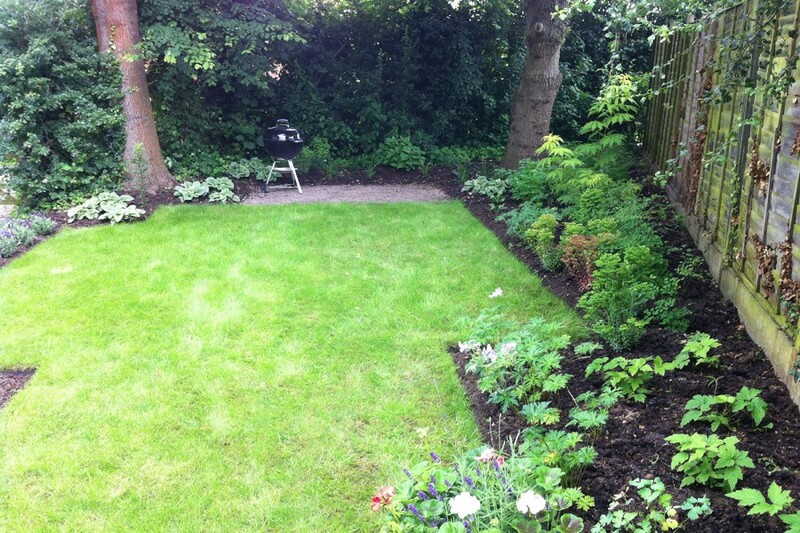 Plants used include Sambucus, Thalictrum, Geraniums, Japanese Anemones, Euphorbia, Brunnera and Hellebores. The fence has since been replaced. 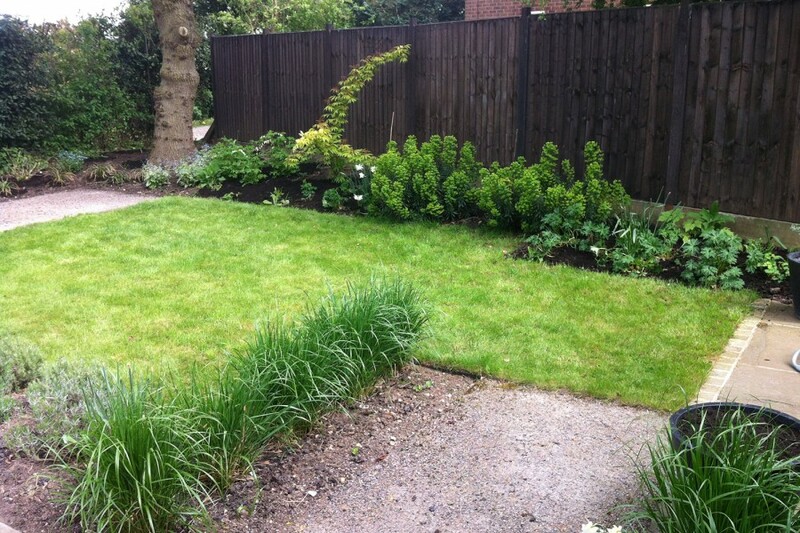 Woodland garden with a contemporary feel. Natural screening of the patio area. 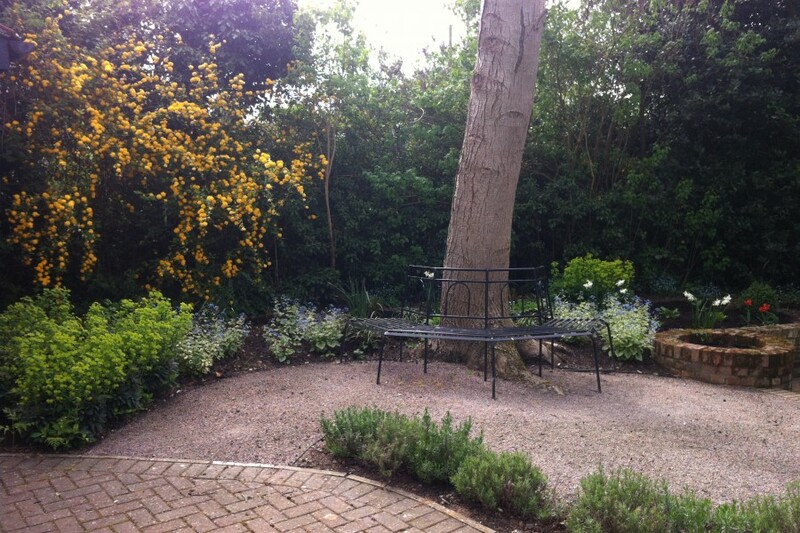 Seating added around existing planting.